Many don’t know that some of the oldest trees in the world reside here in the US. 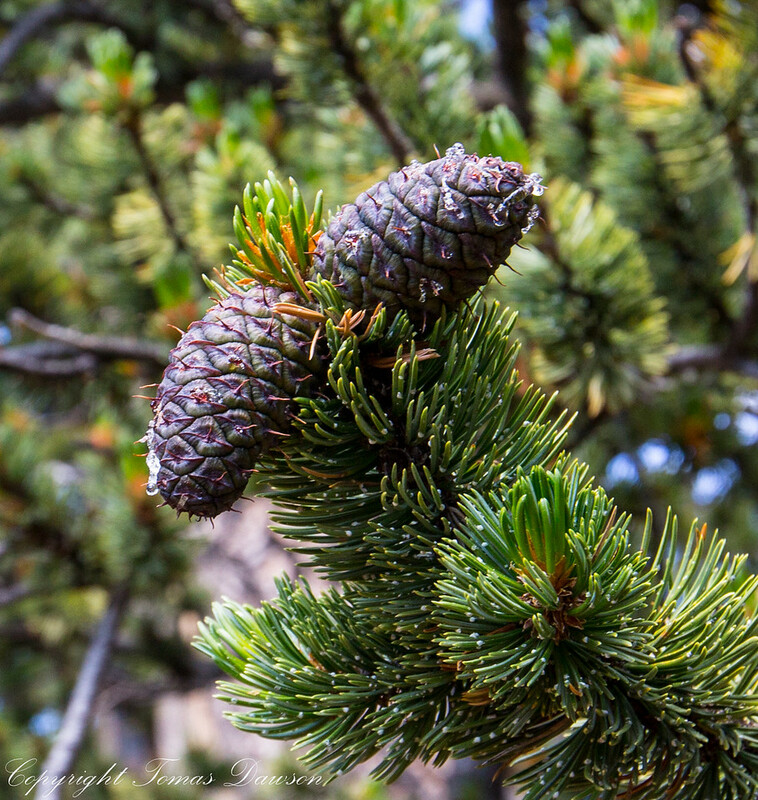 The Bristlecone Pine is a small tree that lives in harsh high altitude climates. 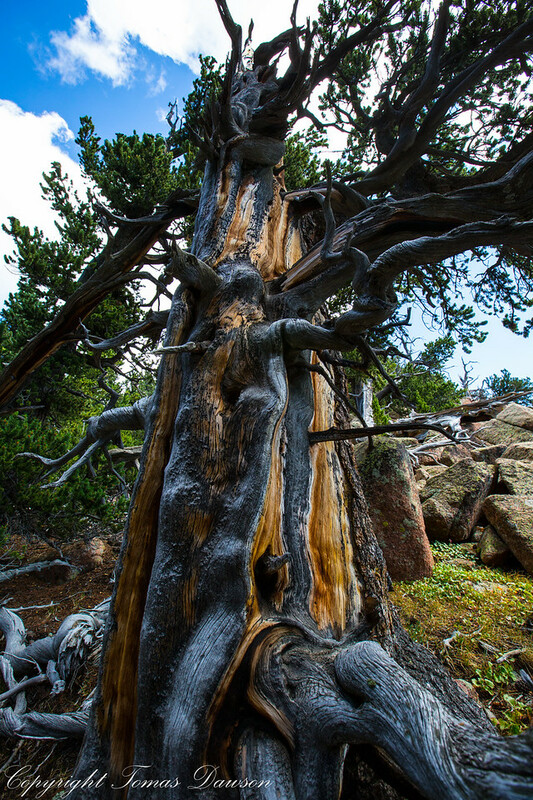 In Colorado we have the Rocky Mountain Bristlecone that lives up to 2400 years. In Colorado Springs we are lucky to have a Bristlecone grove within an hours drive by 4wd. The trees live near the summit of Mount Almagre near Pikes Peak. This August, my wife, Nancy and I took a weekend drive to go visit with these trees. We are trying to find the oldest tree at close to 2400 years. With just a photo to go by, we did not have success. However, we did enjoys being among the ancients. The trees are a mixture of living and dead with brilliant earthy colors. These trees have survived many changes in our world, yet in the next 100 years Climate change may lead to their demise. 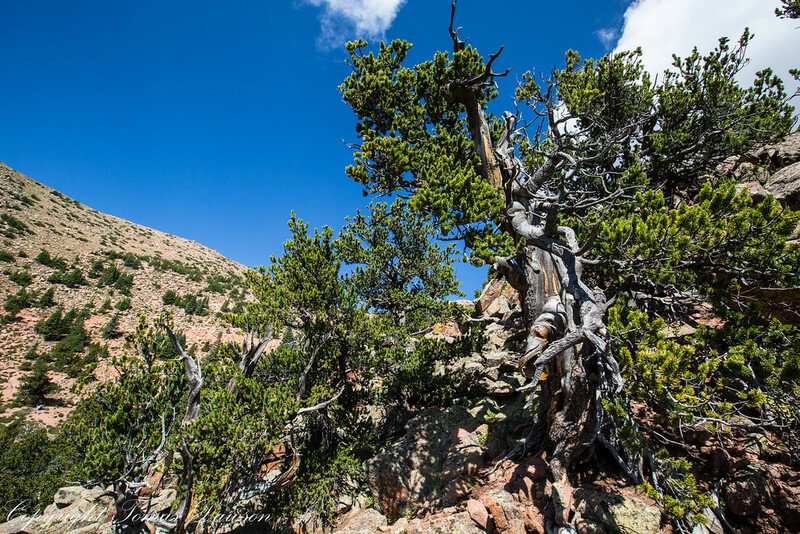 Great Basin National Park has the oldest trees at over 5000 years old. Take the time and go walk among these ancient trees.